BIB numbers (race numbers) are picked up at the sports exhibition. The Sport Exhibition will be open Thursday 25th and Friday 26th of April from 09.00 to 20.00. Place: Vikinghallen, Øvre Dreggsalm. 7, 5003 Bergen. Tlf. + 47 55 36 53 46. 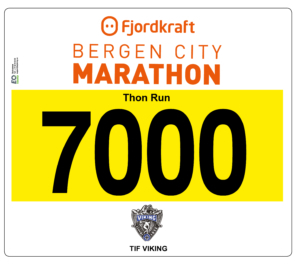 (If you are traveling to Bergen and do not have time to pick up your BIB number within Friday at 20:00, we will help you in the same location Saturday before the race). NB! Medical form on the back of the BIB MUST be filled out! you infomation about your starting group. If you have ordered our BCM t-shirt it will be handed out at the sports exhibition. Additionally our sponsors will line up with their own sports outlets. There will be a lot of great offers and a broad selection of sports equipment for sale. Sport1, Ronhill, and Squeezy will all have their own shops. Everyone who signs up before April 1st gets his/her name on the BIB number. By transfer the BIB number after this date, the buyer will not get his/her name on the BIB number. 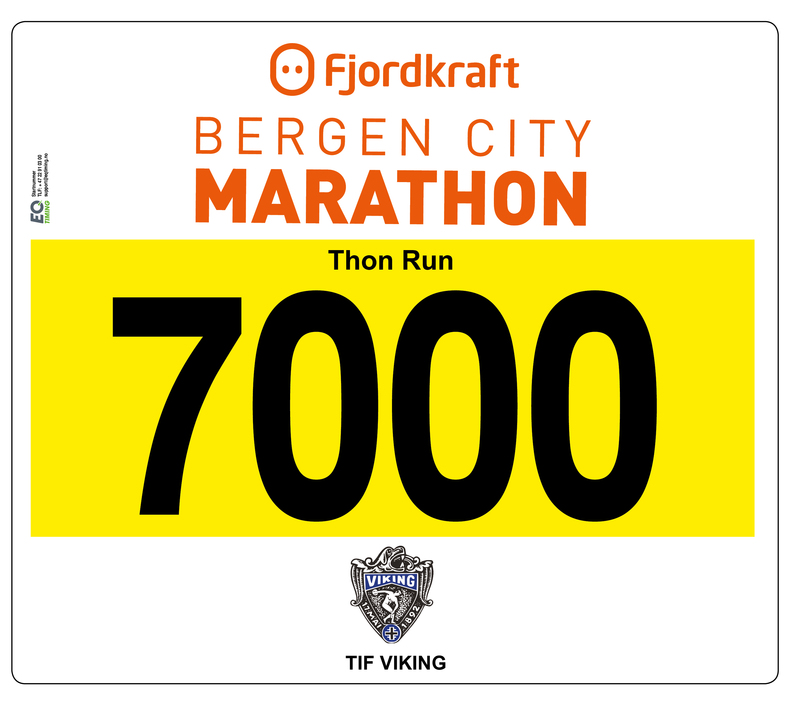 This year’s BCM T-shirt can be ordered when you sign up for 75 NOK. The t-shirt, both in women’s and men’s models, has a good fit. We also sell the t-shirt at the Sport Expo for 150 NOK. 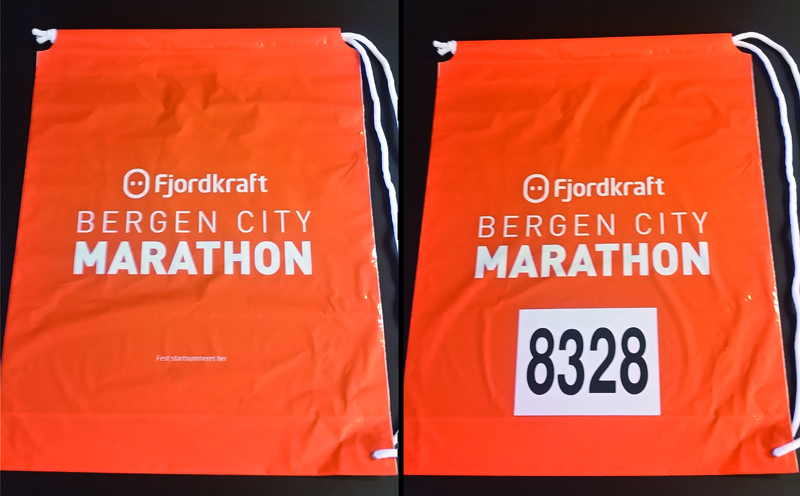 When you collect your BIB number an orange luggage bag will be handed to you. 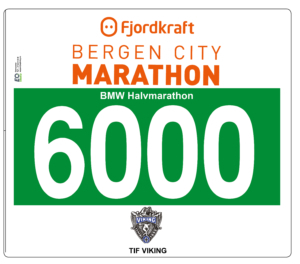 In the envelobe together with the bib, you will find a sticker with your number. This sticker MUST be placed on the bag, or else we won’t accept it. No other bags can be used for storing clothes in Vikinghallen. 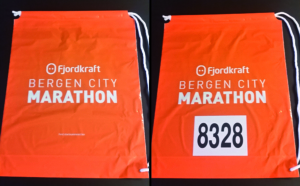 There is only one bag for each runner! The pacemakers will be a few minutes ahead of schedule to be able to “slow down a bit” at the end. Descents and ascents will also affect the speed. It is not smart to run to fast in the uphill and become to tired, or to run to fast in the downhill and become injured. stations, do not stress, you will soon catch up with them in a few kilometres. With many runners the drinking stations can become a bit chaotic, but try to get enough nutrition. Think positive! Smile to the crowd! Give out some “high fives” to the children! Remember that pain is temporary. Endorphins are your friend. Use your own watch – the pacemakers are only human 😉 Good luck! In Vikinghallen we have several changing rooms/showers for our runners. It will be open from 07:00 to 18:00. Address: Øvre Dreggsalm. 7, 5003 Bergen (same place as the Sports Expo). HERE you can find the course map, elevation profile and description of the course for the various distances. In connection with the release of the track to traffic, the participant must have passed the finish line within a certain time limit. Participants who finish outside the time limit are not included in the results. 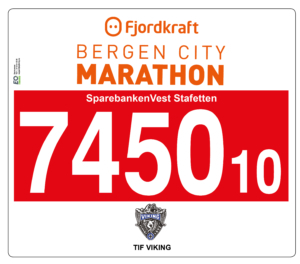 21 km – Passing on the pier/Bryggen after 10:45 AM. 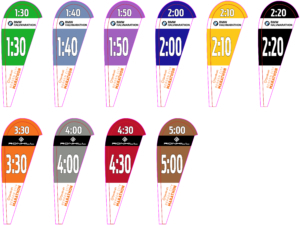 (If you pass the time limit point later than 10:45 AM you will be stopped, but you will be approved completed half-marathon). – Half marathon: 4 hours. 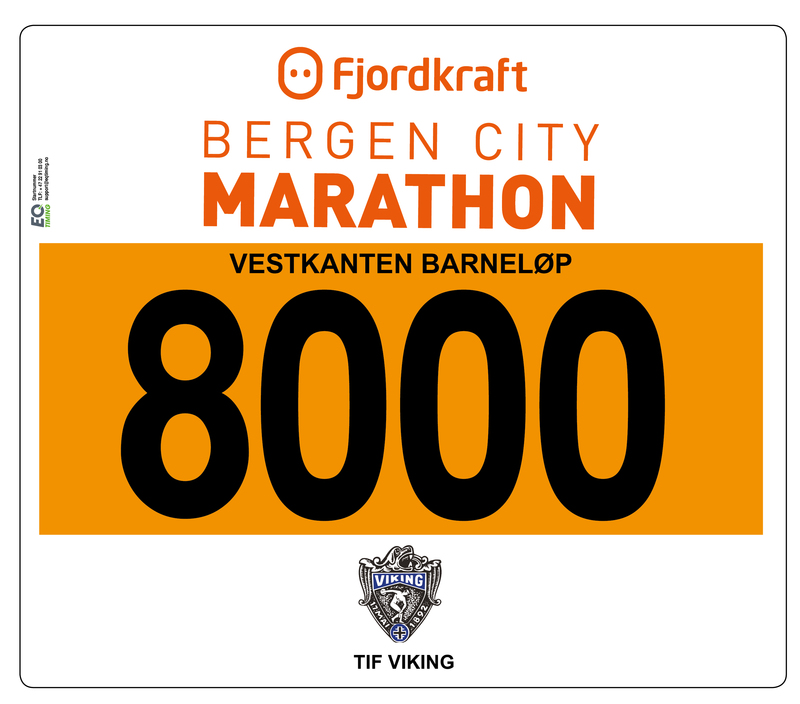 All participants in Bergen City Marathon (BCM) 2019 receive a medal. The great medal has a known and loved design from Bergen. 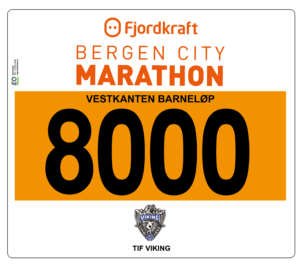 Bergen Municipality has given BCM the opportunity to use the beautiful motif from Kulturby 2000. 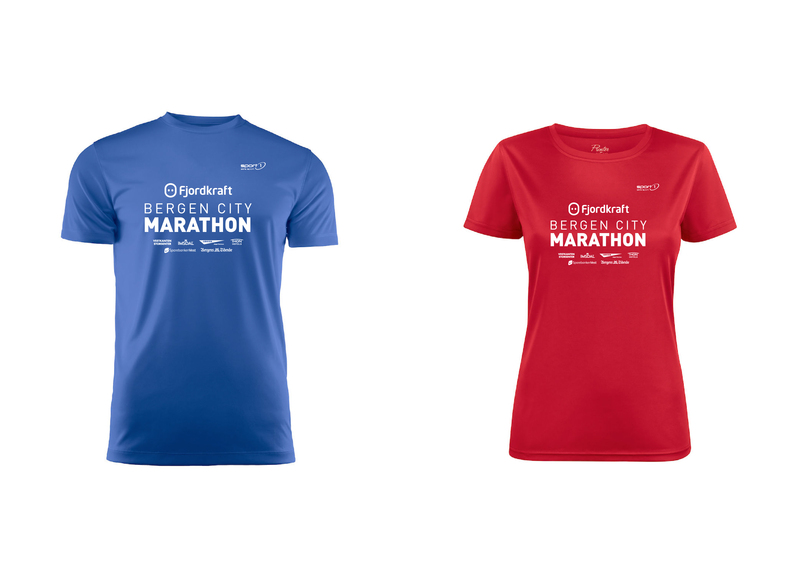 For the three best in the ladies and men’s class at the marathon. 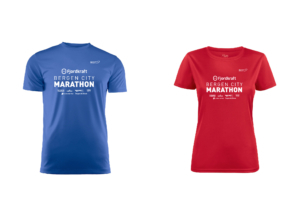 In addition, you can win gifts on your BIB number. 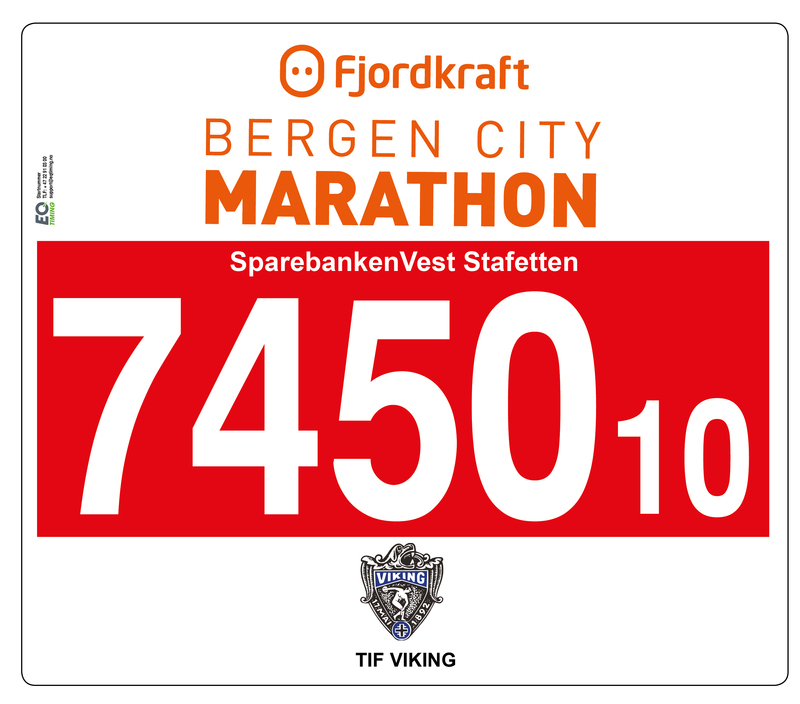 Check if you are a lucky winner at www.bergencitymarathon.no after the race. Group leader register the company on our sign-up page by using the button ‘Create a group’. Group leader will receive an email with username and password and forward it to the others who will join the group. Group members sign up by using the button ‘Join a group’ . Up to 450 teams can compete in the Sparebanken Vest Relay. The Relay consists of 10 legs with a total distance of 21,097 metres. Teams and companies compete with colleagues and club friends. There is guaranteed to be a lot of cheering along the course from the crowd. 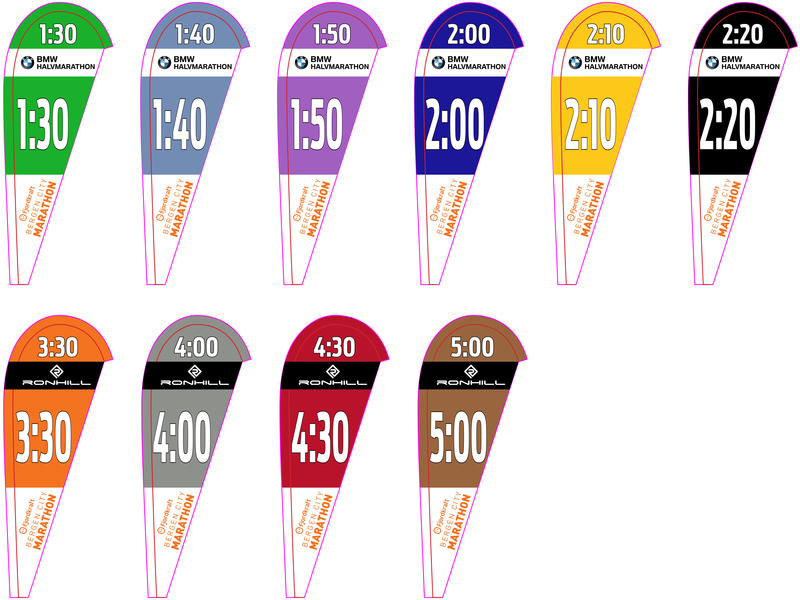 The relay follows the same route as the half marathon. We will open a resale solution January 1-April 15. You will receive a discount code that`s used for payment upon a new registration. Send the code to the buyer, which he/she will use to sign up for the race. A changing fee at 100 NOK is applied, and payed along the new registration. The code only applies to the same distance as the seller was registered. Buying and selling tickets will be possible up to April 20th. Ordinary registration closes on April 24th. 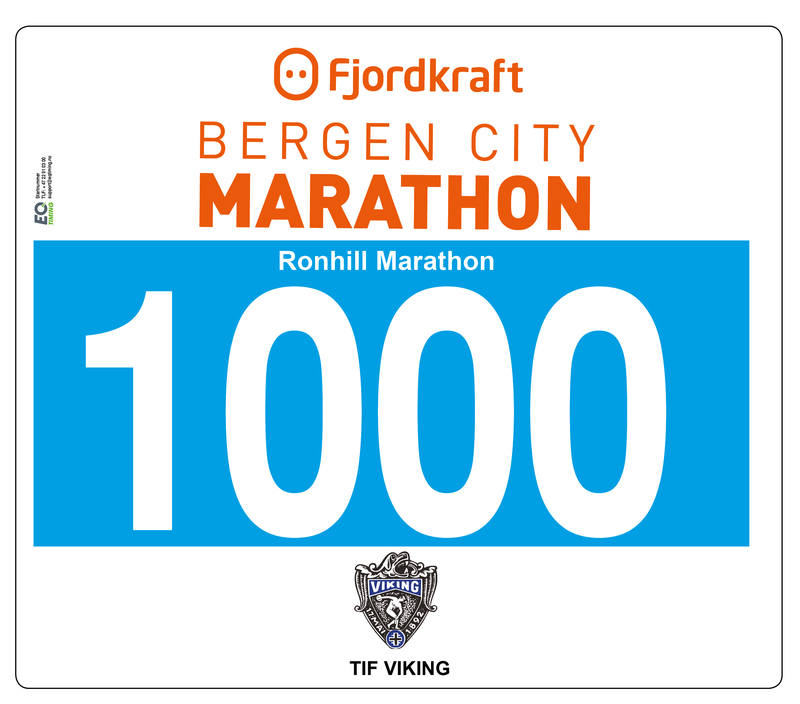 It`s also possible to sign up at Sportsmessen (A sign-on fee of 50 NOK will be applied). See all our prices HERE. It pays off signing up early! Follow your favorite runners and see their position in the course during the race! Download the app UltimateLIVE!